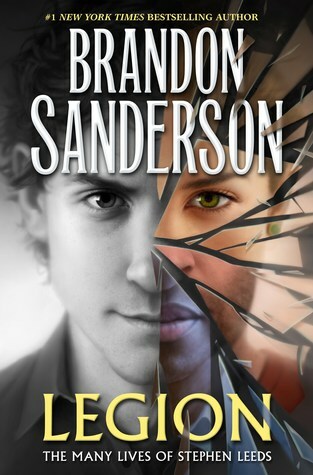 If you haven’t checked it out yet, Legion: The Many Lives of Stephen Leeds is the perfect opportunity to read Brandon Sanderon’s beloved series featuring everyone’s favorite schizophrenic genius detective. Featuring the trilogy of novellas, including the never-published-before Lies of the Beholder, this omnibus collects all the adventures starring our eponymous hero in one handy volume. Speaking as someone who has only listened to the first book in audio back when it was originally released (but somehow never managed to get around to the sequel for years after that), I was happy to finally experience the completed evolution of this extraordinary character and see how his remarkable story arc came to be resolved. Our journey begins with Legion, the first novella introducing Stephen Leeds. To the outside world, our protagonist appears to live by himself in his sprawling mansion, but that is a very different picture from the reality he perceives. Affected with a mental condition that allows his mind to generate a variety of hallucinated people—who are all unique in their individual personalities, skills, and knowledge—Stephen is never truly alone. His hallucinations, or aspects, share his space with him, taking turns advising him whenever he needs more information on certain topics. This has earned him the label of “genius” as well as celebrity status among psych experts who long to pick his brain, resulting in a never-ending line of people showing up at his door with requests for his help on some highly unusual cases. Legion features our first mystery, involving the search for a stolen camera that can apparently capture images from the past. I read this one again for my review and found that I loved it as much as I did six years ago when I first listened to the audiobook, for everything about it is pure Sanderson. Despite it being a departure from the types of stories he is known for, the concept of Legion and Stephen Leeds’ aspects is as well thought out and unique as any of the author’s magic systems, and I believe even readers who are skeptical of the author’s non-epic fantasy will be able to come around to this novella’s modern, urban setting and science fiction vibes. The second novella, Skin Deep, features Stephen and his aspects (even though they number in the dozens, there are only about three or four who are always tagging along with our protagonist) on a case to recover the stolen body of a biotech mogul who was known for using himself as a guinea pig in a lot of his experiments. Needless to say, everyone believes his corpse holds the key to all kinds of ground-breaking technological advancements and dangerous secrets related to his work. Not surprisingly, this sequel had the distinct quality of being a fast-paced thriller; to prevent the devastating spread of an unstable piece of biotechnology that can cause cancer, Stephen must race against the clock to find the one responsible for the theft, once more tapping into the expertise of his hallucinations for the knowledge he needs to solve this bizarre crime. Finally, we come to the third and final novella, which this omnibus makes available in published form to readers for the very first time. Lies of the Beholder attempts to address several key questions that have popped up over the course of the series, including the nature of Stephen’s relationship with the mysterious Sandra, who has been brought up multiple times in the first two books. This one also seeks to bring the main character’s story arc to a close as we continue to explore the way his mind works, probing into his heavy dependence on the aspects’ knowledge and companionship. Is Stephen’s condition a blessing or a curse? What would happen to him if his hallucinations were no longer around? The three stories featured here are light mysteries, to be sure. But like a lot of Sanderson’s work, one can find deeper themes and meaning these novellas if you care to look. Religion, ethics in research and science, mental health, and many other subjects are touched upon and discussed in the context of these mini-adventures that offer a lot more than just light-hearted entertainment. Beneath the clever and often funny banter between Stephen and his aspects, we also have messages about the value of relationships. While no one else can see his hallucinations, to Stephen they are as real as the world around him, but the question is whether it will be enough. This forces him to confront some difficult truths, some of which he may have tried to bury for far too long. I’ll be honest, I had initial concerns about how Sanderson would stick the ending. He’s a brilliant guy and I’m a huge fan, but he tends to write endings that, for lack of a more appropriate term, piss me off (see Mistborn, The Reckoners, and even his middle grade series Alcatraz). I grew even more worried when I saw Stephen’s rapid descent into confusion and instability as soon as Lies of the Beholder started, believing this final volume would be a rush job which would fail to provide a satisfying conclusion. To my surprise though, I was actually quite happy with the way things ended. Perhaps it was because I’d braced myself for potential disappointment, but whatever the case, I felt this final novella was in fact a worthy sendoff for our characters. I won’t deny it had its gut-punch moments, not to mention that as a series, this isn’t exactly Sanderson’s most polished or mind-blowing, with more than a few loose ends and plot holes. Still, I found the Legion novellas magnificent and inspiring in their own way. So would I recommend this omnibus? Without a doubt, yes. Legion: The Many Lives of Stephen Leeds is another masterful piece of speculative fiction from the talented mind of Brandon Sanderson. It is a little different from a lot of his other work, but with his trademark brand of creativity and style still on full display here, fans are guaranteed not to be disappointed. Awsome to know that out of the 20 people selected for the ARC, you and my wife were among the selected.👍🏻. Great review. I was sent a finished copy, actually! But so cool that she received an ARC! So cool! Yeah we live a bit far to be sent physical coppies i think. Or do you request from other sites aswell? I am really on the fence about reading this or not. I gave both previous novellas 3 stars but for very different reasons and at the end of the review for Skindeep say I want him to keep writing these stories. But now that he’s wrapped it up, I don’t know. This may very well be the first Sanderson I read. I don’t really know where to start with the others. Great review! Yeah, I can see why deciding where to start might be a challenge! He’s got so many series! I didn’t realize this was a collection of novellas, I’m definitely tempted! Yeah, at first I thought this was a re-edition of the first novella! Oh yes I was really curious about this one too! Huh, sounds quite different from a lot of his other stuff. May have to give this a try! Definitely different from his fantasy! But he’s been really branching out into other areas of spec fic lately! I read like the first? THis not feel it…oh wait did I listen to it? You probably did – I remember for a while the first book was only available in audio (and was free from Audible) while the print version was ridiculously expensive and hard to get your hands on. Yes, I can’t believe I actually read Oathbringer, it took me weeks! These days, I prefer audiobooks for these super tomes! I don’t think this side of fantasy SF would suit me with the hallucinations and things. But that’s why I like reading your reviews as I get the detail about books that help me make more informed decisions! Great work Mogsy! Eeh. I don’t know how I feel about the ending, still. It felt — I don’t know. I didn’t want all the aspects to be gone (and however the ending spun it, I didn’t feel like they were really still around; just remembered). Ah, OK. I haven’t read any of the Legion stories. Is this the same thing as the TV series? I will need to pick this up.